After 12 years of work, of meeting and sharing, the French community of HEMA practitioners, gathered on October 22nd in L’Isle-Adam, decided to create a structure that would allow the recognition of the work accomplished by the associations and groups composing it (listed below). For this, it seemed sensible to create a viable entity that would be acknowledged for its expertise in HEMA. These associations, represented by specialists from different backgrounds (academics, private researchers, practitioners, martial artists etc), given the cultural, historical and martial richness necessary to the greater understanding of the ancient Arts, therefore have decided out of a common, consented will, to regroup and to create the Fédération Française des Arts Martiaux Historiques Européens (FFAMHE). This latter association has been officially declared at the sous-préfecture of L’Hay-les-Roses on the 28th of December 2011. 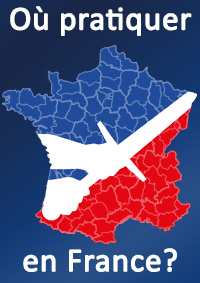 This federation aims to gather the French associations in a national-scale structure, so as to help HEMA get recognition and development on local, regional and national scales, and to emulate and facilitate the research, study, practice and promotion of Historical European Martial Arts in a legal and modern frame.